Just until today I didn’t even notice that the WordPress Weekly Photo Challenge was moved from Friday to Wednesday. I am subscribed and was wondering why there were no more posts on Friday and didn’t realize that some of their Wednesday emails were about the challenges now. Today they came up with the motto “Surprise” and I want to contribute with one photo that I shot last summer in our garden. 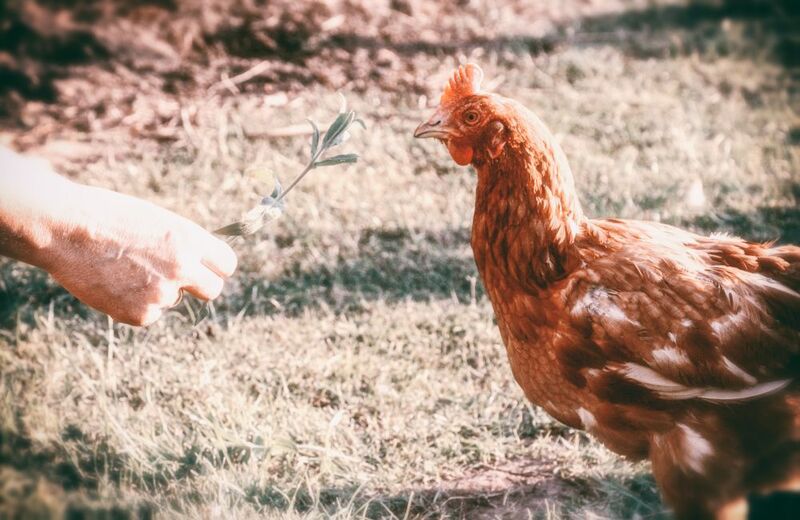 My mother played with one of her chickens and it looks like she would surprise the chicken with a gift. Excuse me the bad stylized editing, but the photo was shot in JPG and was overexposed and had all kind of other issues, so that I wanted to hide the mess a bit. It’s maybe not the greatest quality, but I love the scene and think it fits to the recent challenge! A fun photo! One should always take time to play with the chickens. Always ready for that surprise treat, no doubt.